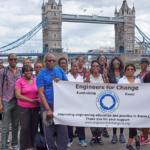 Trustees from Engineers for Change (Sierra Leone) delivered 2 CPD break-out sessions whilst attending the Sierra Leone Institution of Engineers Biennial Conference in June 2018. The presentation provided an overview of some of the key principles of good structural engineering design practices and procedures. The presentation also demonstrated an example of how the plastic properties of structural steel can be applied to the design of a single bay, pitched roof portal frame. 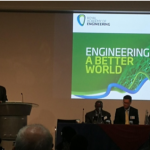 The workshop was aimed at infrastructure professionals and engineers with prior or limited experience of delivering large/multi-disciplinary infrastructure projects. 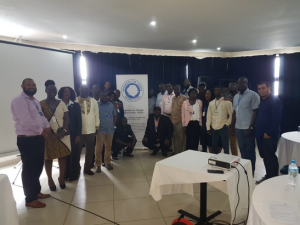 This was an introductory level session on the evaluation techniques to be applied on complex infrastructure projects/programmes at the initiation and options evaluation stages. The attendees worked through a case study of a simulated scenario to reinforce the practical application of the techniques covered on the course. Both workshops were well attended with keen interest and participation shown at the sessions. 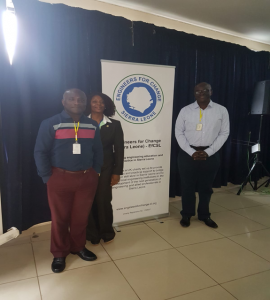 The feedback surveys undertaken after the workshops were very good with requests made for EfCSL to deliver further CPD training sessions in Sierra Leone.